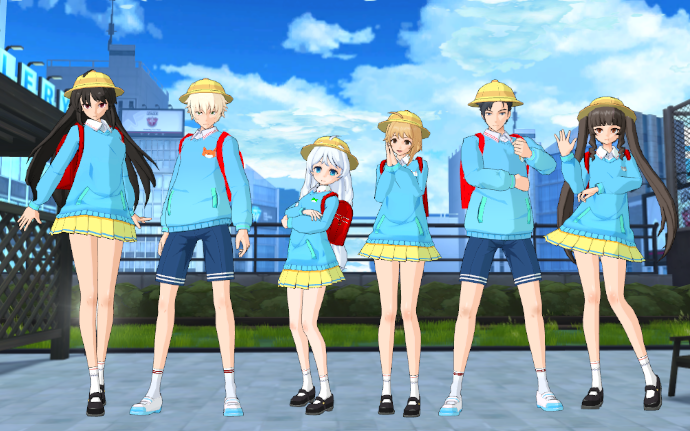 This is the Soulworker Management Team. This April 06, 2019 (Saturday), we will reach the 3rd year since Soulworker’s official service started. We, the Management Team, are pleased to celebrate the 3rd anniversary together with everyone. We have prepared various events and special rewards in these 3rd anniversary events to express our appreciation, so we would be pleased if many will participate. Also, we are preparing to implement various content updates so that everyone can continue to enjoy playing Soulworker. In addition to the recently added mazes and raid contents in the new area 「Dipluce Horizon」 back in February 2019, we also plan to add contents such as increasing Level Cap, etc. Moreover, although it is still not going to happen anytime soon, we also plan to implement the 7th Soulworker 「Chii Aruel (チイ・アルエル)」 as the new playable character. We will notify everyone once we have finalized the implementation period and information we can release for each content, so please look forward to it. We, in the Management Team and Development Team, intend to do our utmost for everyone to freely enjoy the world of Soulworker now and in the future, so we ask everyone to please continue playing 『Soulworker』. ・ As mentioned last February 28 (Thursday), we have removed the Supporter System and Support Registry Feature from the game. ・ In addition, we have changed the selling price of the supporter equipment (2,500,000 Zenny each). ・ We changed the in-game System window. ・ With the change, the 7th option 「Return to Game (ゲームに戻る)」 was removed and changed so that you can close the window by pressing 「x」 in the upper-right corner. ※ Similarly, you can still close the window by pressing 「Esc」 in your keyboard. ・ We changed the favorability increase per transaction of the following NPCs. ・ Also, we changed the max favorability you can obtain per day. ・ We reduced the prices for exchanging fragments from NPC 「Zenith」. ※ This refers to the prices for exchanging Soulstone fragments. ・ Can only be purchased up to 3 times per character.